If you’re looking for a two-tone carpet combined with a stripe, you should see the Barbican collection from Dutch carpet manufacturer Edel. 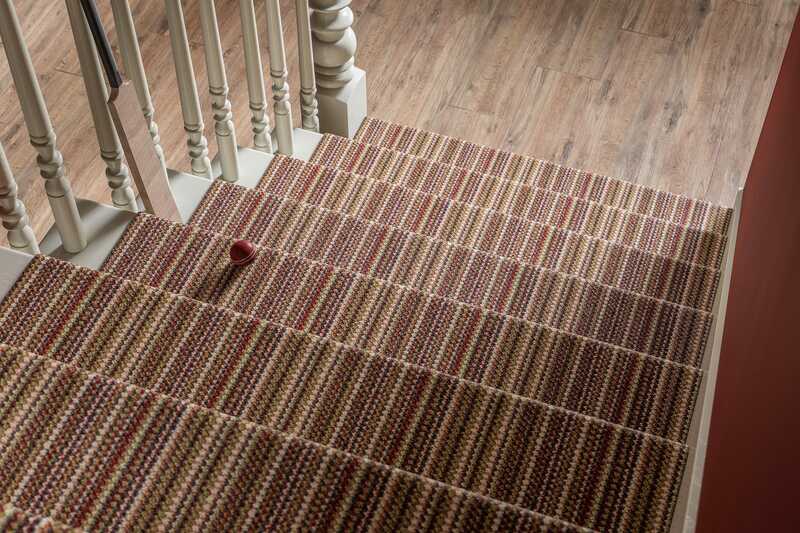 As well as a fashionable multi-striped design, there are co-ordinating options in two-tone, on-trend earthy colours, so you can carry the same accents through different rooms. Barbican is a high-quality, 100% wool 2-ply multi-level loop carpet, which means it is made with two woollen strands twisted together for added performance against wear with a slight ‘sculptured’ effect created by the varying pile heights. It’s for this reason Edel’s Barbican collection is rated heavy domestic, making it ideal for high traffic areas such as stairs and landings. As well as being guaranteed against pile reversal and shading, Barbican carpets are insect and rot proof and are Scotchgarded to protect against colour fastness, light and wet damage. Showing: The modern stripes of Edel Telenzo Carpets Barbican collection. Both our Bowdon and Timperley showrooms have been updated to include swatches of all the style options in the Barbican collection, including six two-tone loops and six matching stripes. The new stripes bear more colour, with a lot of fashionable blue woven into the designs. And for something really exciting in your interior with a splash of vibrant colour, Candy Cane in the collection is one of Edel’s best-selling designs. 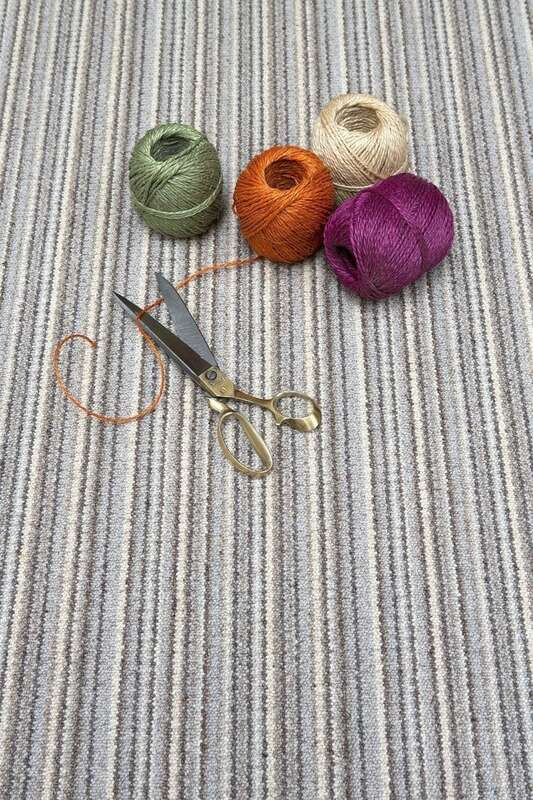 The Barbican collection two-tone carpets are available in 4m and 5m widths, with the multi-stripes available in 4m widths. Showing: Barbican Candy Cane from Edel Carpets – a high-quality, colourful, striped wool carpet. Edel Carpets (more recently known as Edel Telenzo) is a modern Dutch carpet manufacturer with a one-hundred-year history making carpets. Starting with handmade coir mats, the company today produces high-quality wall-to-wall carpets, which are sold across the world from their specialist carpet manufacturing facility in the Netherlands. Showing: The Edel Telenzo Carpets display stand at our Knutsford showroom. For high-quality wool carpets, which you can co-ordinate throughout your interior, be sure to visit us ask to see Edel Telenzo Carpets. Our Bowdon and Timperley showrooms now have all the colours in the Barbican collection available to view, and you can loan samples to take home and colour match. If you have already seen Edel Carpets and know the style you like, then contact us today for a free survey and quotation for supply and installation for your home.